Within days of Chryslan's find, two orchnid women discover the hilt of the sword in Alpenberg. A short time later, both pieces are mysteriously stolen in two separate incidents. Chryslan and his friends set off on four of his father's treadlings to try and find the stolen sword tip. Their quest leads them to Alpenberg, where they learn of the discovery and theft of the sword hilt. They are then joined by four of the orchnids in their quest to recover the stolen pieces. 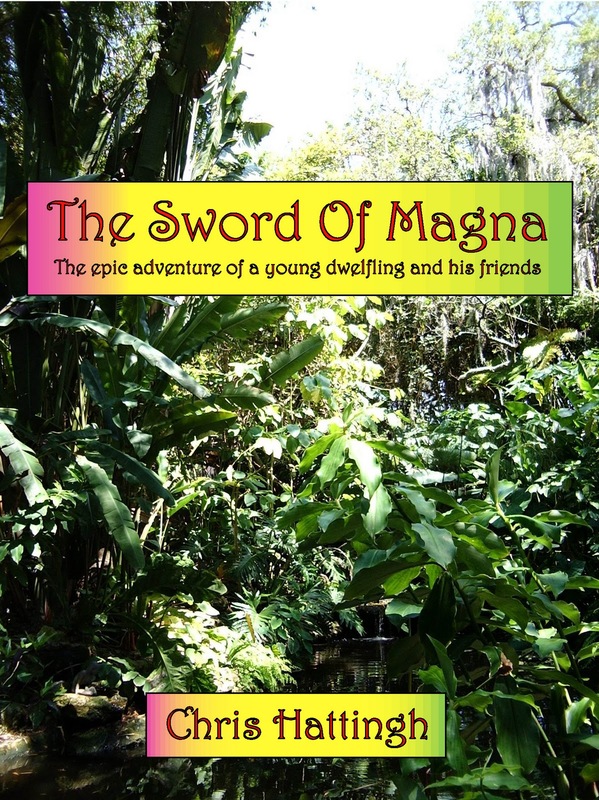 Chryslan has no intention of leading a life of travel or danger, but when the tip and hilt of the golden sword are stolen, events are set in motion which lead him on an incredible journey through new, hitherto-unknown worlds. He learns from the forest nymphs that his destiny as a hero has been foretold; but now he must locate the missing pieces and re-forge the sword to regain the power that will allow him to defeat the ruthless dagons, who would conquer Axphalia. The Sword Of Magna could easily have been only about this struggle, but it adds spice by including romance that takes an unusual twist when the hero Chryslan is finally reunited with his love, only to discover fate has again taken a hand in changing their blossoming romance. Dialogue and descriptions are powerful and poignant throughout this epic fantasy: "He was haunted by visions of two lovely, shining eyes gazing up at him, and the memory of a subtle, rose-sandalwood scent, and the warmth of a shapely little hand clasped gently in his. Inside himself he felt a vast emptiness, an aching yearning. What was happening to him? He had been fine yesterday at this time." Exciting, fast-paced action and strong characterization are the draws keeping fantasy enthusiasts reading avidly to the novel's unpredictable conclusion. Not everybody wins, and not everyone wins easily. Heart's desires change, wax and wane, and the eventual heralding of the Third Age of Magnatus brings with it some unexpected results. 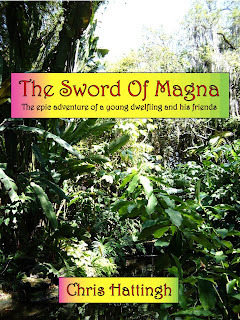 The Sword Of Magna is a lively, satisfying fantasy perfect for any reader who enjoys detailed sagas, strong characterization, ethereal descriptions of alien worlds and protagonists, and romance. Without spoiling the conclusion, suffice it to say that having a definitive ending over a questionable conclusion makes this a satisfying single-volume novel that leaves nothing hanging! This review was written by Diane Donovan, eBook Reviewer, Midwest Book Review.